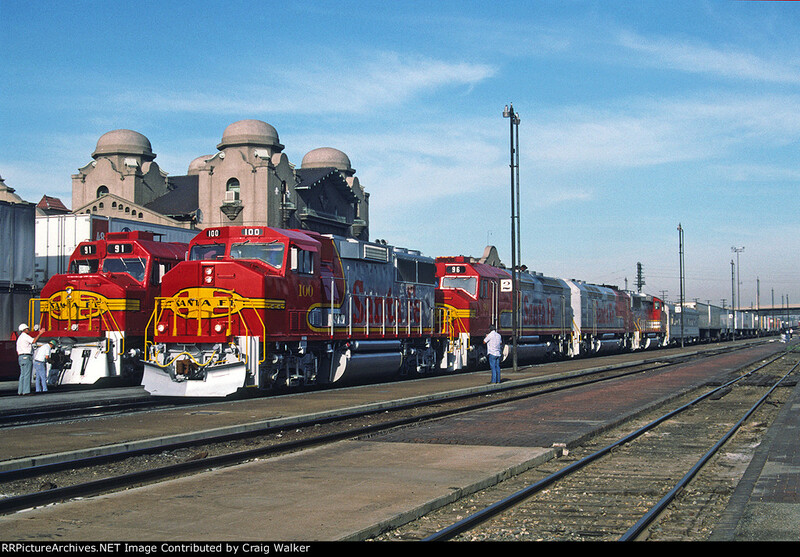 Early in the morning on May 23, 1990, Santa Fe GP60Ms 100 and 101 (spliced with FP45s 96 and 92, as well as business car "Mountainaire") lead train 2-891-23 past FP45s 91 and 90 on a passenger special. The GP60Ms are returning east on their first trip after delivery from EMD. The four-car passenger special would depart later, headed for Cadiz (between Barstow and Needles) and return to try and persuade investors that garbage trains to a proposed garbage dump would be feasible.